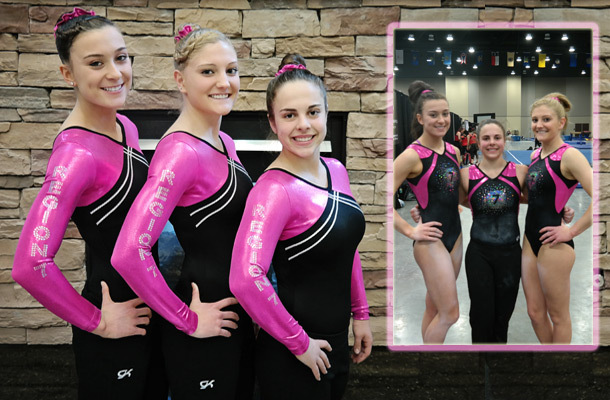 Will-Moor’s Level 10 gymnasts Marissa Toci, Danielle Doolin & Delaney Cahill represented our team and helped the Region VII Senior B and Senior D age groups win 1st place for each session. 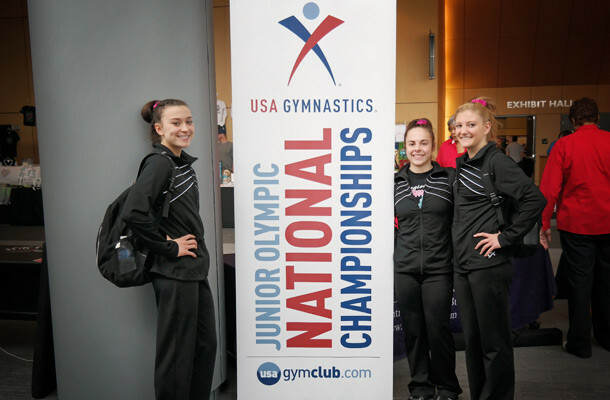 in JACKSON, Mississippi, May 9-11, 2014 – The Junior Olympic National Competition took place at the Jackson Convention Center. The event features gymnasts who ranked 1st – 7th in the all-around in each of the eight age divisions at the Level 10 Regional Championships. The Eight Regions from all across the country send their best All Around gymnasts to compete against each other to determine the individual champions and the Regional Team Champions. Region VII comprised of gymnasts from NJ, PA, MD, VA, DE and WV make up the regional teams to battle head to head for the coveted #1 ranking. Will-Moor sent Danielle Doolin & Delaney Cahill to help the region’s Senior B team and Marissa Toci contributed to the Senior D team. We are proud to announce that both these team brought home the 1st Place trophies! We are also very proud to announce that Delaney Cahill placed 7th on the Balance Beam in a field of 56 of the nations best gymnasts!